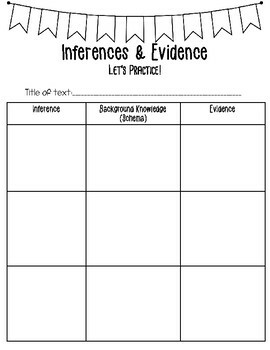 This is a great tool for teaching students about creating inferences and backing them up with evidence. 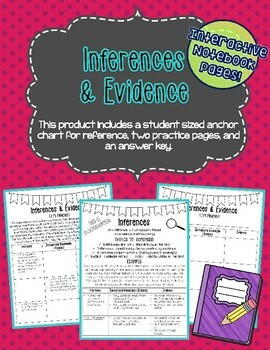 The product includes a student sized anchor chart for reference, two different practice pages, and an answer key. 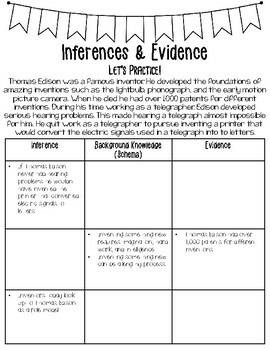 They can be glued into interactive notebooks or used as a worksheet or formative assessment. Please leave feedback on your purchase. I truly value your opinion! 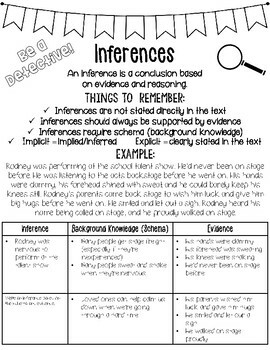 Click here to check out additional resources from Lacey's Shop!